Die Fernsehwerft is an independent, full-service media production house located in Berlin’s creative East Harbour quarter, which is home to many media companies. Die Fernsehwerft combines everything necessary for any type of media productions, from high-end studio facilities to post-production services and archiving to broadcasting technology and audio production know-how, all under one roof. fernsehen” on SAT1. They also produce the weekly format “akte 20.18”, an investigative journalism TV magazine. Both productions are based on a vast amount of newsfeeds coming in from news agencies like Reuters and APTN. The 600-700 new data files per day can easily sum up to around 6TB as daily data volume. 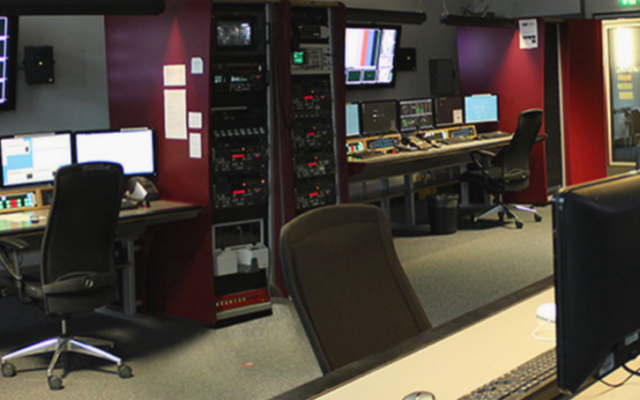 Post-Production is the heart of any production at Die Fernsehwerft. They operate two large TV studios, as well as a smaller studio with a green box. 40 permanent and around 20 freelance editors, work there in shifts, 6 days per week. STRAWBERRY is connected to 40 editing and 6 ingest suites. Besides a few Avid® Media Composer® seats, the majority of the post-production workstations is equipped with Adobe® Premiere Pro® CC. Fernsehwerft’s production team works with an Isilon Storage Cluster. Fernsehwerft is running two separate STRAWBERRY environments for two editorial teams. The two environments each have their own High Availability (HA) servers as well as two dedicated proxy encoding nodes. At Fernsehwerft, multiple production teams work on multiple clients that serve multiple projects. This used to result in chaos on the shared storage. The team has to deal with a huge amount of data on a daily basis (50 projects, 1500 files each day). In this case, managing data doesn’t just mean to tag and handle the incoming newsfeeds, it also means to find the right data, which is often named very generically or even numerically. Thus – a big chunk of time was spent searching for files and prepping the post-production suites. With 6TB of data per day, deleting unused content is one of the most critical tasks a Production Asset Management (PAM) system has to be capable of in order to not clutter the storage. Because of its unique project-based focus, STRAWBERRY can create “deletion lists” based on the creation or modification dates of all projects on the shared storage. This eliminates the manual search for deletable content and ensures that entire projects, including their related media assets, are cleanly removed from the shared storage. Another major requirement for Fernsehwerft’s PAM has been user & storage access rights management. With STRAWBERRY, producers only see the content that they are supposed to access for their assigned productions. This is especially important when working with freelancers. Thanks to STRAWBERRY’s automated workflows, there is a lot less manual work to worry about. XML parsers extract metadata from ingested media files, which significantly simplifies search and saves a lot of time. Another big time-saver is STRAWBERRY’s PREDITOR add-on. PREDITOR is a browser-based rough-cut editing solution, which allows non-editors to quickly tag & assemble footage directly from their office computers. No browser plugins or additional software required. As the majority of editors at Fernsehwerft work with Adobe Premiere Pro CC, they appreciate the close integration into the Adobe Creative Cloud. Cutters can simply stay within their editing application and still have the full control over their data and assets. Die Fernsehwerft is relying on STRAWBERRY as an asset management solution that easily integrates into their multiple Adobe Premiere Pro CC editing suites. STRAWBERRY is fast and easy to learn, therefore no obstacle for any creative talent. Due to the masses of data the team has been dealing with on a daily basis, efficient search and deletion functions are as much of a must-have as the automated workflow capabilities in STRAWBERRY to manage their workload efficiently. The Fernsehwerft team also appreciates the fact that FlavourSys can quickly respond to their tailored needs. This close cooperation over the years has helped overall to make STRAWBERRY a mature solution for any News Production.